Make your next event or meeting unique by having it at the Science Factory! 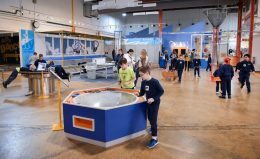 Imagine 7,000 square feet full of over 75 interactive exhibits relating to Science, Technology, Engineering, and Math. Our exhibit hall can entertain up to 400 guests and you can even bring your own food, drink, or arrange your own catering. 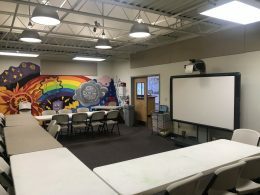 Additional meeting or event space in our Castanga Learning Center and Maker Space is also available! The Learning Center and Maker Space are also great options for meetings with room for up to 30 people in each space plus A/V services. Private events must be held outside of our regular business hours and require a reservation at least three weeks in advance. Please see below for a complete list of accommodations the Science Factory can offer to your group! 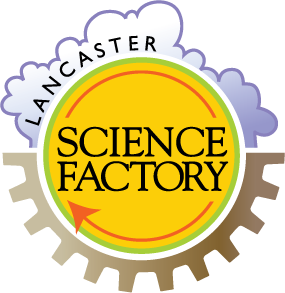 The exhibit hall of the Lancaster Science Factory may be rented for private events of up to 400 people outside of regular business hours. Events that include children must also ensure one adult chaperone for evert four children in grades 3 and under, or one adult chaperone for every six children in grade 4 or over. Adults must supervise children at all times. And a limited number of trash receptacles. Guests who reserve the exhibit hall may bring in outside food and drink or use the services of a caterer. Alcohol is allowed but cannot be SOLD without a license. Proof of insurance will be required to be provided by caterers and servers. COST: $250 per hour with a two hour minimum. Rent the Learning Center for your next meeting or add it on to your event in the exhibit hall. Guests who reserve the Learning Center may bring in outside food and drink. Meeting guests that are visiting during regular business hours can also enjoy the discounted group rate if they’d like to stay and explore the Science Factory. COST: $100 per hour during regular business hours or $150 outside of regular business hours. Add the use of the Learning Center to your exhibit hall rental for $50. 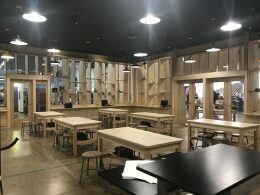 Rent the Maker Space for your next meeting or add it on to your event in the exhibit hall. Guests who reserve the Maker Space may bring in outside food and drink. Meeting guests that are visiting during regular business hours can also enjoy the discounted group rate if they’d like to stay and explore the Science Factory. COST: $100 per hour during regular business hours or $150 outside of regular business hours. Add the use of the Maker Space to your exhibit hall rental for $50.